Established on October 24, 1945. It has 15 Specialized Agencies (Autonomous Organizations working with the UNO) and Six Principal Organ. 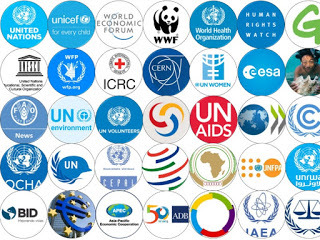 Specialized Agencies may or may not have been originally created by United Nations, but they are incorporated into the United Nations System by United Nations Economic and Social Council acting under the articles 57 and 63 of the United Nations Charter. United Nations Educational, Scientific and Cultural Organization (UNESCO): 1946, Paris France; 195 member states. Note: Three member states Cook Island, Niue and Palestine are not UN member states while a UN member Liechtenstein is not a UNESCO member state. Kosovo was approved for membership by UNESCO's executive board in 2015 but didn't receive required 2/3 of votes in favor at the general conference.